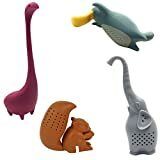 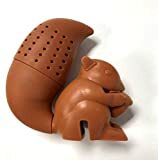 When you steep your morning tea with this cool new Squirrel Tea Infuser, you will have a little friend to keep you company during the wait. 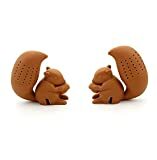 Just fill the perforated tail with your favorite loose leaf tea, place the squirrel on the edge of your mug, rotate the tail down into hot water, and let it steep. 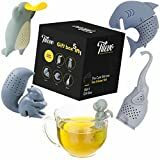 Much more interesting than a boring old tea bag.